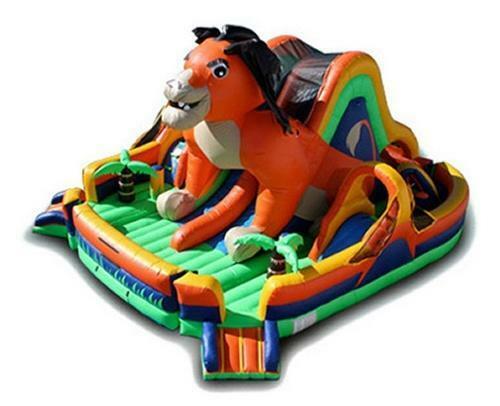 All the kids get a lion's share of the fun when they go through our Lion Obstacle Course Bounce House. 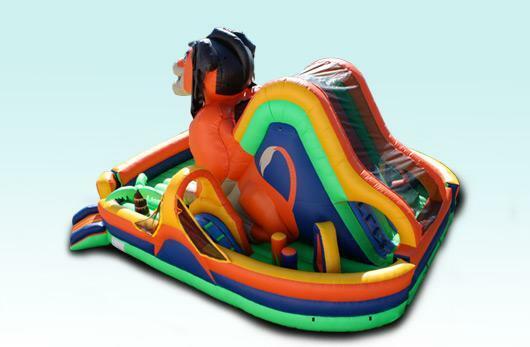 This inflatable obstacle course features a colorful jungle lion theme. Each player makes their way through the obstacles on each side of the Lion, up 18 feet through the back of the Lion then screaming through the slide. This will be the main attraction at your next major event.